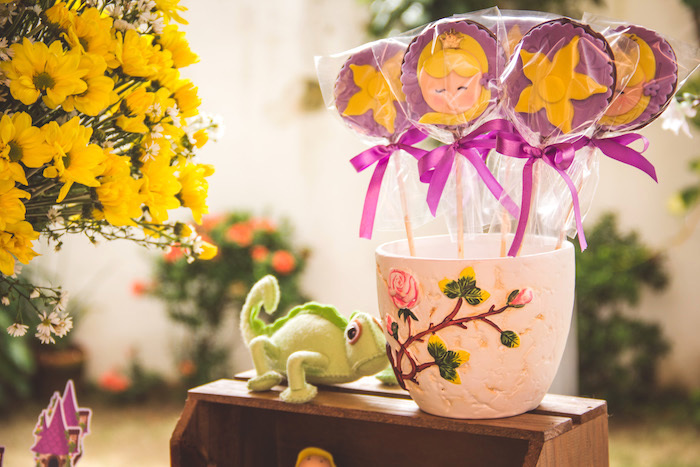 Do you have a dream to see the floating lanterns gleam?! 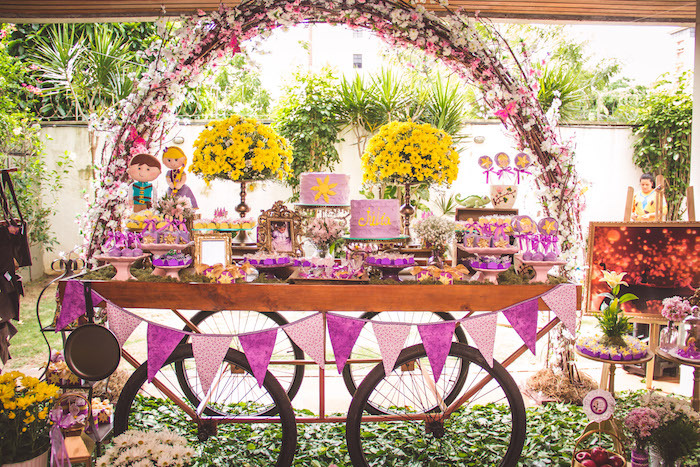 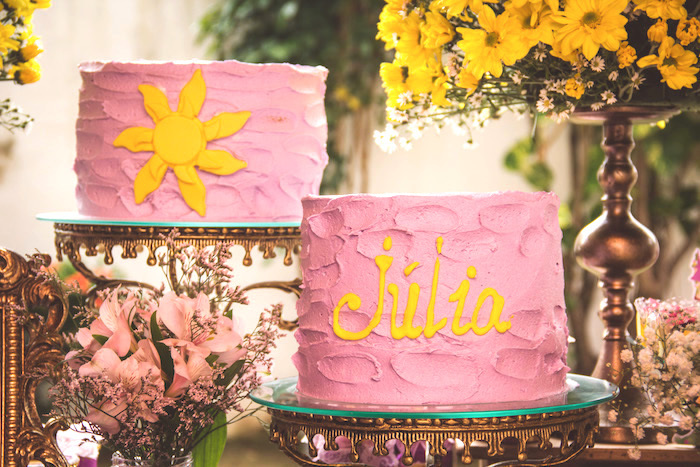 If so, you have to see this Shabby Chic Tangled Birthday Party by Camila Holanda of Coisas de Festa, out of Fortaleza, Ceará, Brazil! 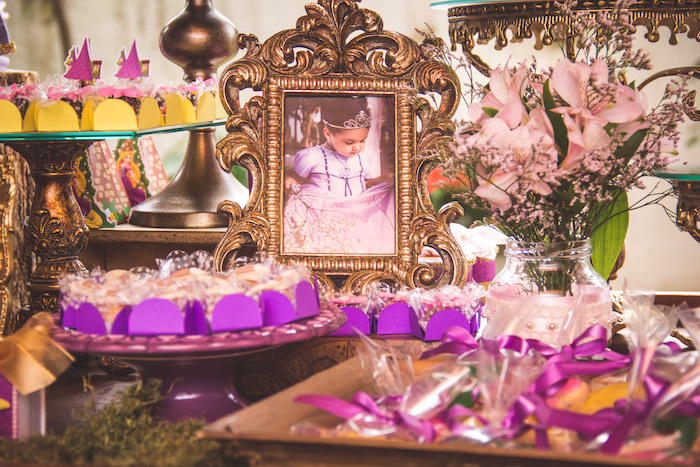 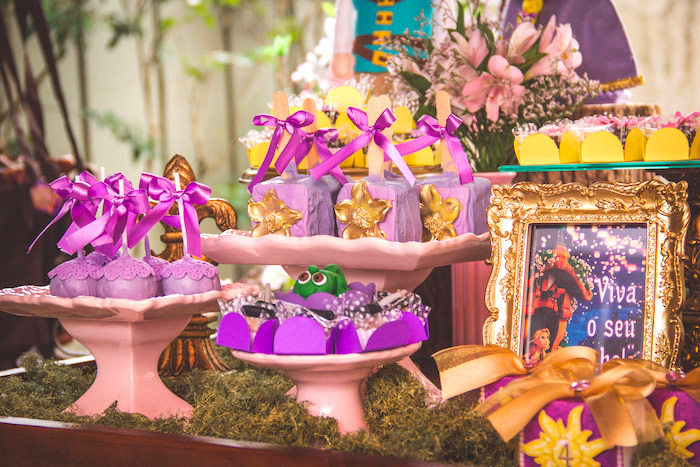 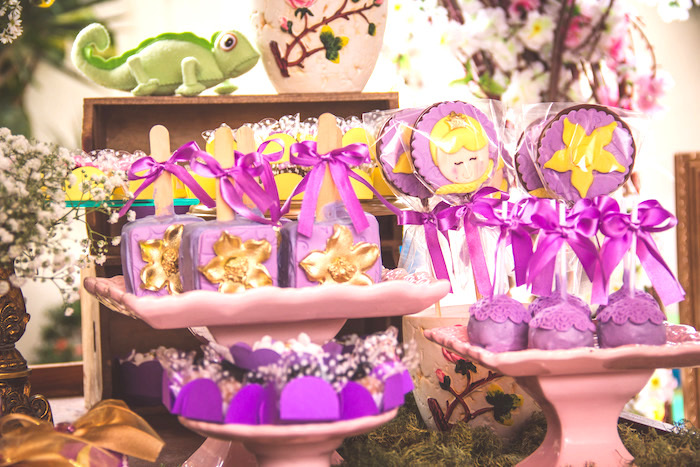 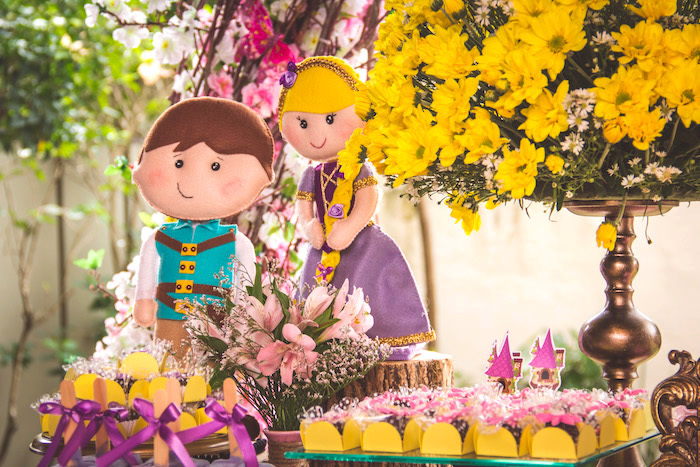 From the beautiful dessert tablescape surrounded by foliage and florals, to the custom treats and sweets, this event is full of Rapunzel fun! 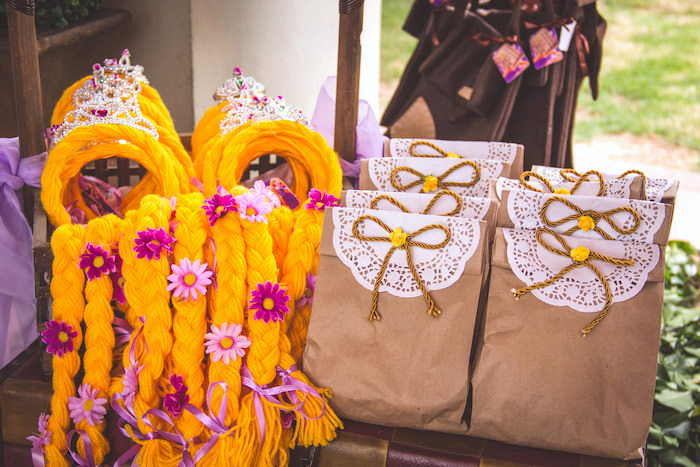 And lastly, the adorable Tangled Party Invitation! 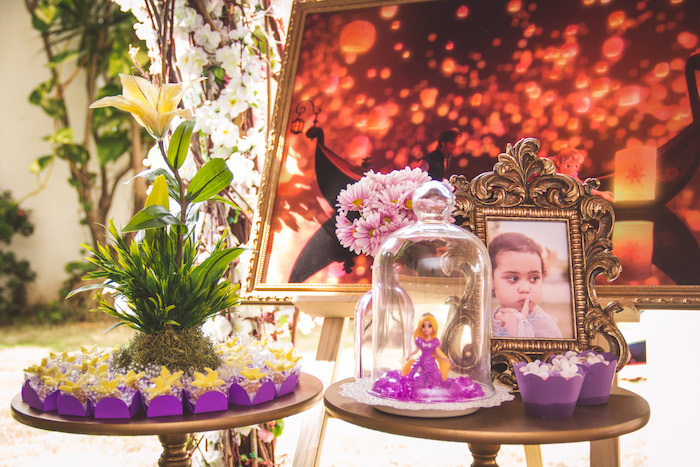 This is Camila shared about the party- “Júlia was turning 4 and wanted a fun morning with her favorite princess, Rapunzel! 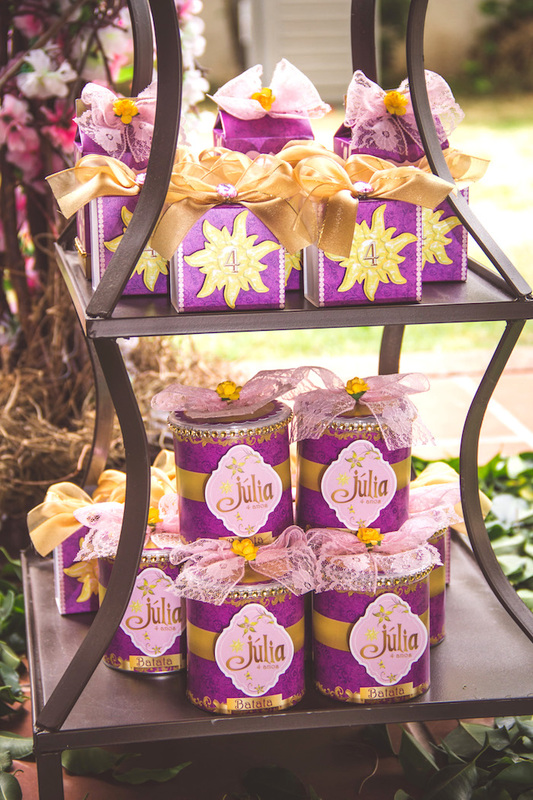 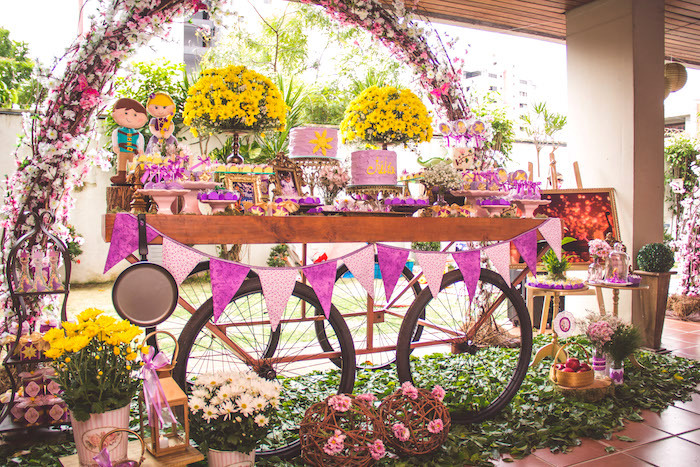 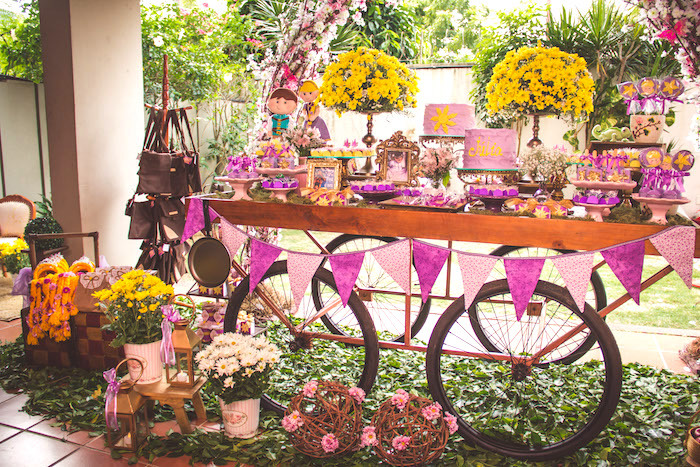 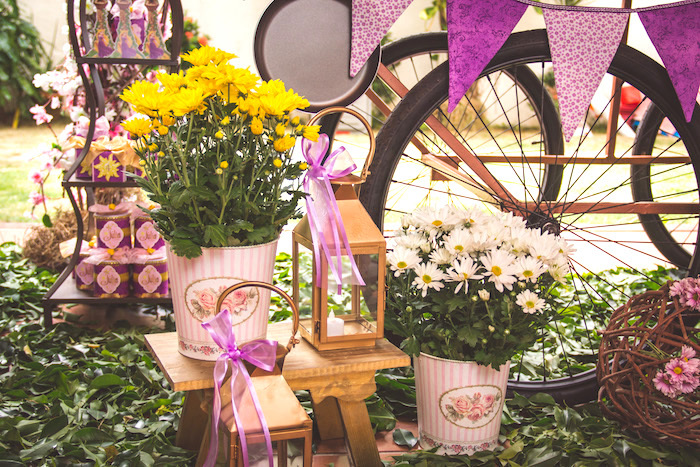 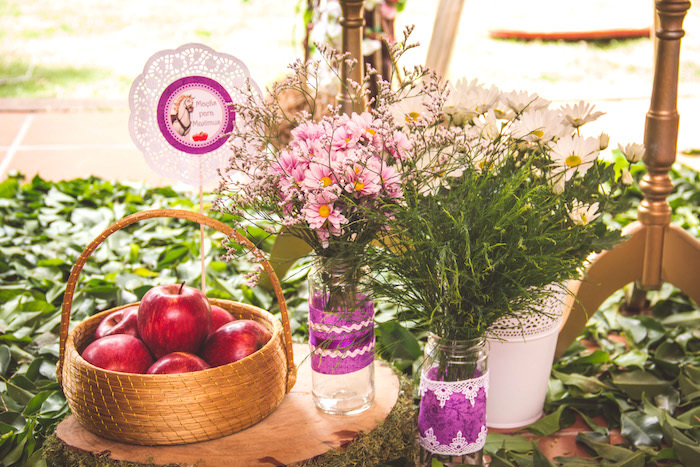 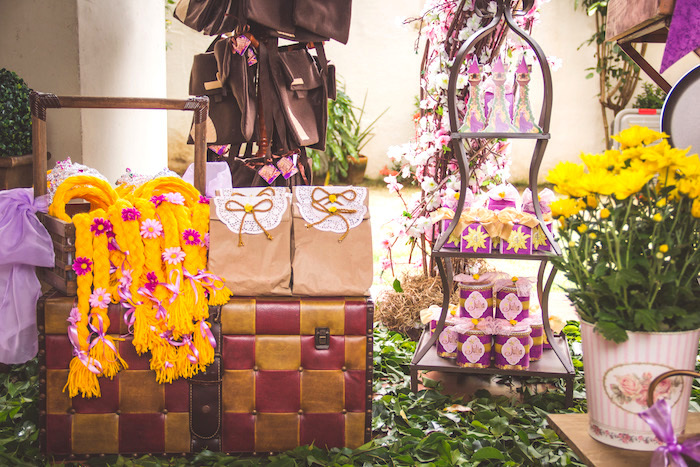 We choose a rustic and shabby chic style for the party, full of details and references to the Tangled movie. 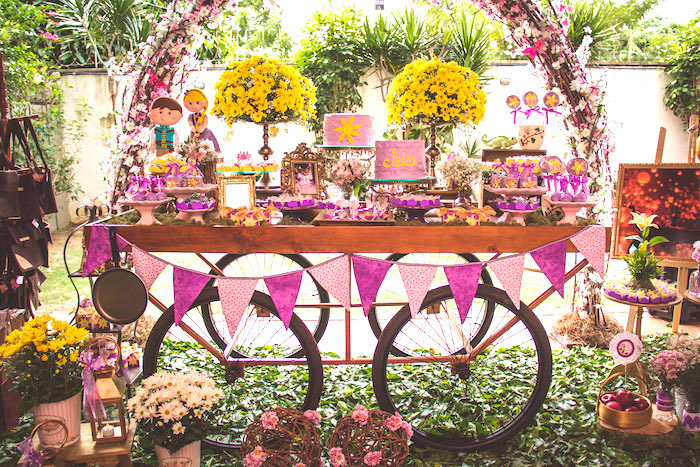 Flowers were the most important item in decor and helped to create an atmosphere where the guests could feel like they were in the forest! 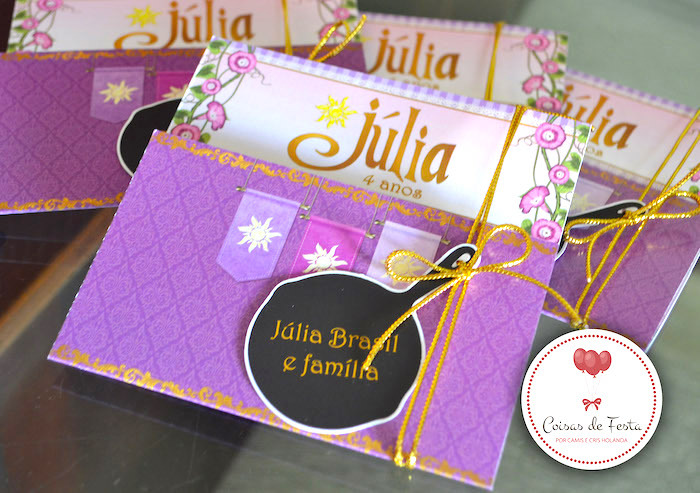 Júlia made it clear she wanted the frying pan in the party, so we also put it on the invitations.